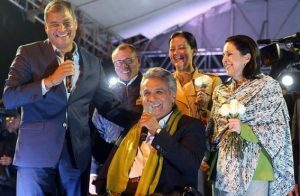 Though Ecuador’s President Moreno campaigned as a progressive leftist in the style of Rafael Correa, his predecessor who had granted Assange asylum, Moreno has shown himself to be eager to return Ecuador to the fold of U.S. and U.K. influence and neoliberal economic policies. LONDON – Julian Assange, London’s – and perhaps the world’s – most famous political prisoner and refugee, is in grave danger as the threat of his arrest and subsequent extradition to the United States appears imminent. The U.S. has been preparing espionage and treason charges against Assange, the editor-in-chief of transparency organization WikiLeaks since 2010, and U.S. government officials have called Assange’s arrest a “priority” in recent years. 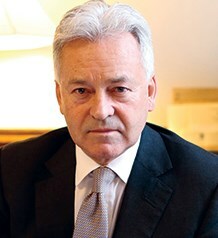 Foreign Minister Alan Duncan (pictured), who had called Assange “a miserable little worm” and demanded that he “face justice” earlier this year in March. The urgency and gravity of Assange’s situation are underscored by the upcoming visit of Ecuadorian President Lenin Moreno (pictured in wheelchair with Rafael Correa, standing) to the United Kingdom, set to begin this Saturday and through the 24th when Moreno – who is wheelchair-bound – will attend the Global Disability Summit in London. Though Ecuador has not announced if Moreno will meet with UK government officials, such meetings are likely and Assange will likely be a major topic of any discussions that do take place.